Have you seen the latest release form Nicole at Right at Home? It's Gorgeous and the design team has been sharing some Amazing projects with all of the new sets. For my card today I'm using Pigments inks and a White gel pen on Kraft Card stock. I started out by die cutting a panel of Kraft card stock using the Find the Beauty die set. Then I stamped the sentiment from the His Love set in the lower corner using some VersaFine Black ink to get a crisp image. 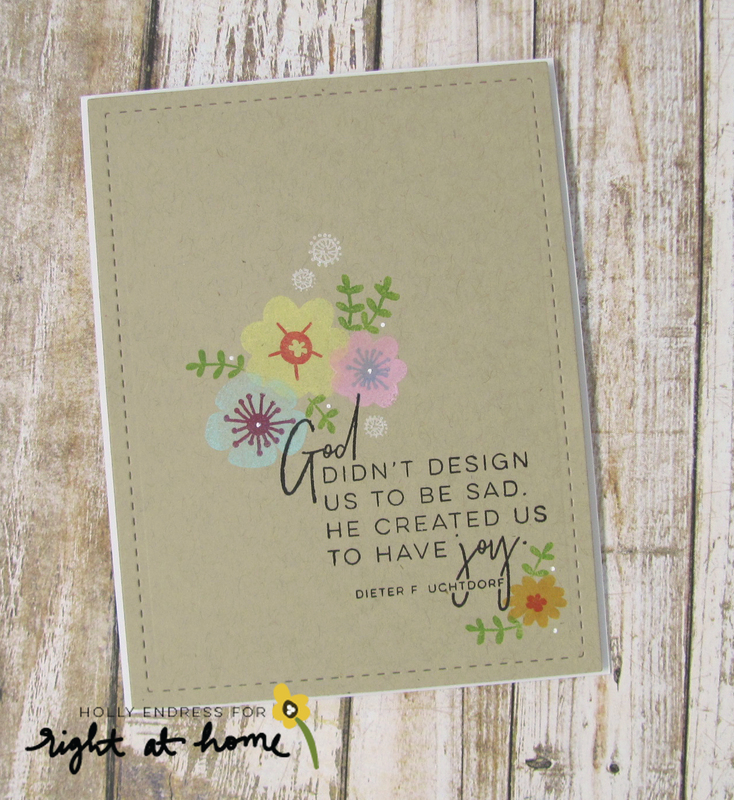 Then I stamped several of the flowers from the Adorable Bunny Hugs set around the sentiment using Pigment inks. These inks are great on colored card stock and they layer nicely over each other. I added a few dots of White gel pen around the images. I adhered the panel to a top folding A2 size White card base using some Fun Foam for a little Height. I love how CAS this is and I need to use those pigment inks more often. 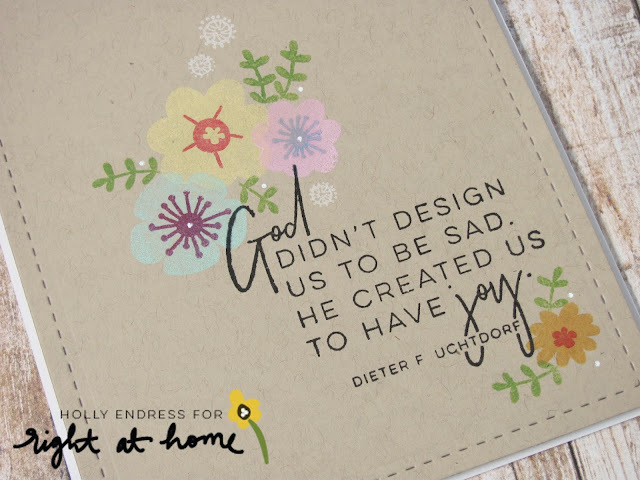 Head over to the Right at Home Blog for more inspiration and check out more from this release.